This extragalactic globular cluster in Sagittarius was discovered by Messier on July 24, 1778. Its host galaxy, Sagittarius Spheroidal Dwarf, is being disrupted by our Milky Way and was itself discovered only in 1994! 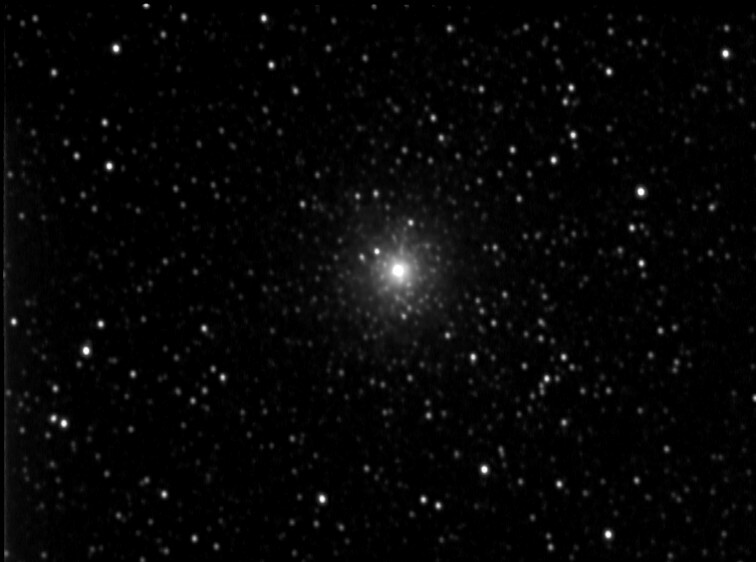 M54 is located 70,000 ly away - it is the most distant of all globular clusters listed in Messier Catalogue. 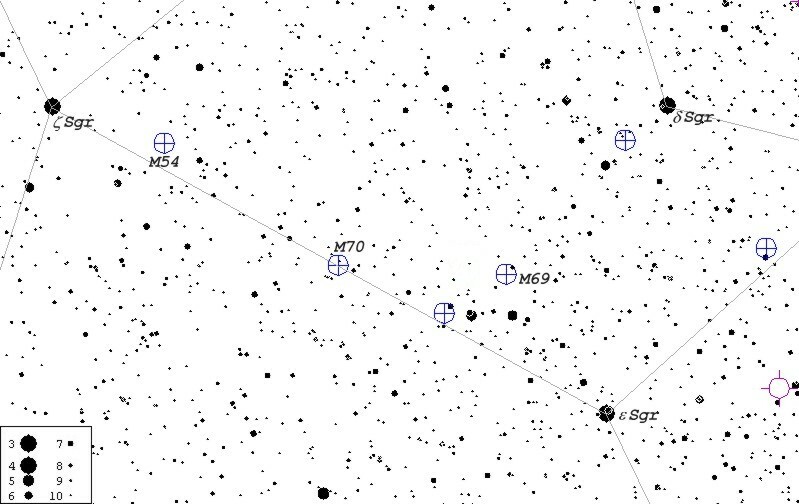 It is visible in binoculars 1°45' SWW of z Sagittarii (see finder chart below). 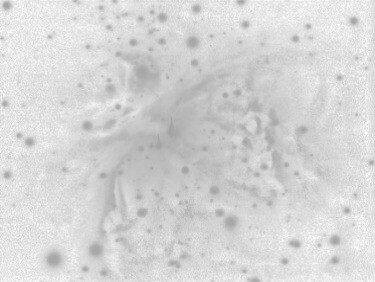 The above image was taken on July 13, 2002 from Harrowsmith, Ontario with Cookbook 245 LDC CCD camera on a Celestron Ultima 8 f6.3 telescope. Twenty three unguided white exposures (30 sec. each ) were combined in AIP4WIN.